It was in 1968 that I first met the LPA – the Little People of America – the American Organisation for People of short stature. I was in Baltimore with my late wife Diana and daughter Sarah, (our son Paul was on the way) on a one year exchange from Guys Hospital in London to the Johns Hopkins Hospital. At that time, Dr Victor McKusick, a world authority on genetically inherited disorders was reviewing over 200 patients with Short Stature in his ward and I was asked to assess them from an orthopaedic view point. Later that year I was then invited to attend the Baltimore Convention of the LPA. I vividly recall entering the large convention hall at a local hotel and was spell bound as I had never seen so many people with short stature of different causation. I soon learned that the association had been founded by Billy Barty a well known short-statured actor who had the idea of setting up a self-help group. It has been an enormous success and today has more than 5000 members. I returned to England and began to enquire whether such an organisation existed here. I contacted the Council for Social Services and met Mac, Miss McCarthy; I never knew her first name, who was looking at the same idea. I then contacted a number of organisations for the disabled and one day found myself in the office of its secretary Charles Pocock, a fiery Welshman. I clearly recall the meeting. It was a big airy room with a large desk at which Charles was seated. He came forward to greet me and stepped down from his chair. He was short-statured and was told me had Achondroplasia. I had become quite knowledgeable about the different forms of short stature and immediately realised that he in fact had Diastrophic Dwarfism a recessive condition which explained why he had been able to sire two normal children. Initially he was against the idea of segregating people but when I pointed out that someone like him, who had overcome prejudices and challenges, would be a wonderful role model for others who were less confident, he became very enthusiastic. We developed a close personal friendship and I was very sad to learn that he has since died. We arranged a steering committee meeting and Charles was appointed our first Chairman, later to be our President. I believed if the organisation was to be a success it had to be run by and involve people with short stature. 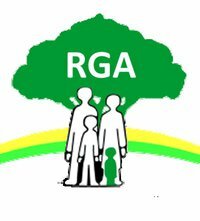 It was initially called ARRG the Association for Research into Restricted Growth but later changed to its present title RGA. It became a registered Charity in 197-. Other people who I recall include Mary Lindley (after whom the library is named) and Sir William Shakespeare a GP with achondroplasia. His son Tom is passionately committed to improving the lives of the less able.